Prepare, file and deliver your 1099 and W-2 forms, any time from anywhere. Complete Your E-Filing in 4 Easy Steps! Create an account online for FREE — you don’t pay anything until you’re ready to file your first form. Use our easy-upload wizard to import an Excel sheet or transfer data from QuickBooks or Xero. We handle the rest! We process and file your forms AND send copies to your recipients! 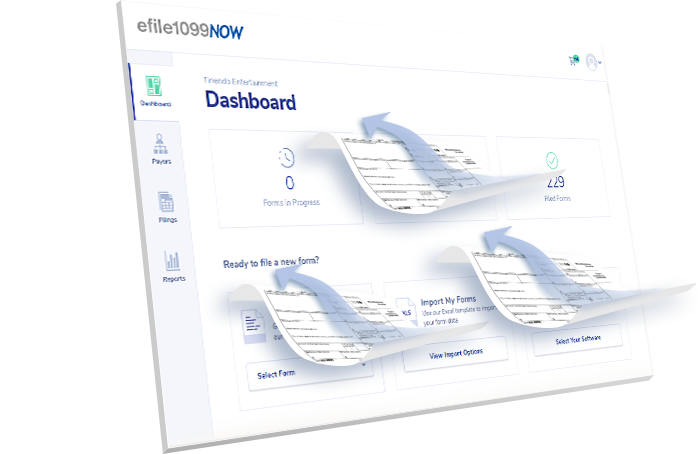 Other 1099 filing software packages and services require that you do most of the heavy lifting, often requiring you to print on preprinted forms, buy stamps and envelopes, and mail the forms yourself. That puts a lot of the burden on you to manage your recordkeeping and ensure your business remains in compliance. When you're dealing with Social Security numbers, tax IDs, and personal financial data, security has to be a top priority. Rest assured that our secure website and strict business processes are designed to protect your data against unauthorized access at every step. Made a mistake on a recent e-filing? Not a problem. We support Type 1 (dollar value) corrections for the most common forms. Even if you didn’t file with us originally, we’ll deliver your corrections to the IRS and/or SSA and your recipient in no time at all. Our simple, end-to-end, cloud-based service eliminates the need for cumbersome 1099 software you have to download or methods that require printing on forms and envelopes. Avoid the confusion and mess associated with these antiquated methods. As an authorized e-file provider, we're committed to secure and accurate e-filing to the IRS and e-delivery to recipients. We utilize the highest industry standard encryption for e-filing and storing SSNs. 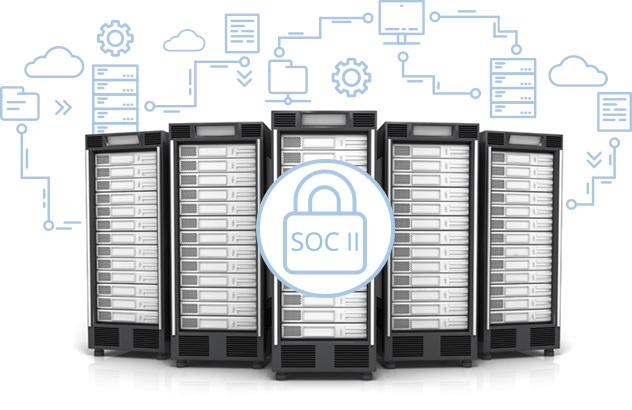 Both our print and data facilities are SSAE 16 SOC 1 Type II certified. 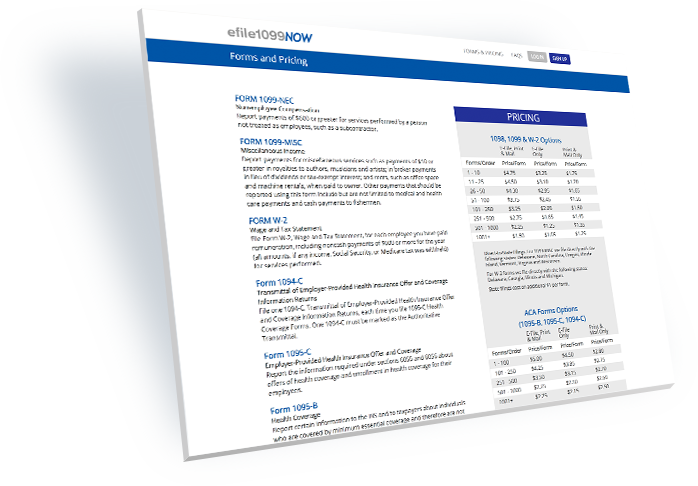 We support many 1099 & W-2 form types, sure to meet the employee or contract worker reporting needs of your small to midsize business. Browse the full list of available forms. Our e-filing experts have compiled step-by-step guides and helpful hints for common tasks such as printing, e-filing, reporting and much more. Should you need additional help, our customer service representatives are available via Live Chat and through email. "The response team was very quick in responding to my problem, and they were able to resolve the issue… E-file is a great service for small businesses like ours." with the services you provide!"